Click on each category thumb nail to view our various collections. There are several styles to choose from in each category. 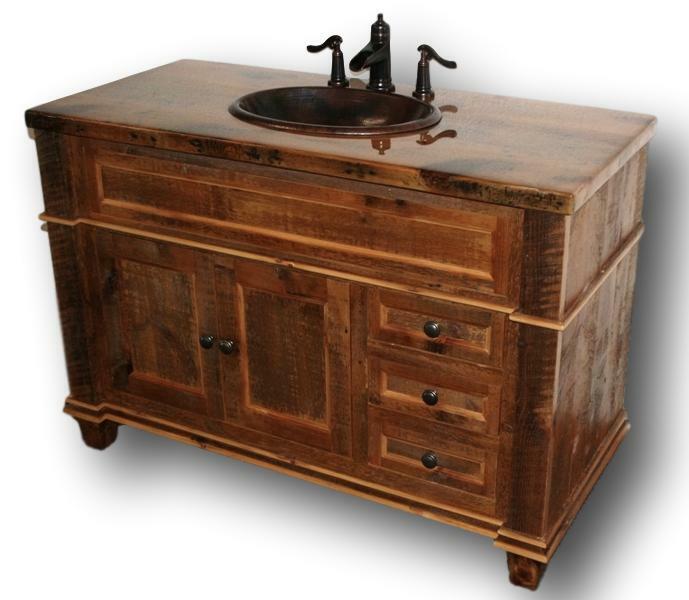 View Barnwood Vanity Collection ..
View Gray Barnwood Vanity Collection ..
View Log Vanity Collection ..
View Antique Bathroom Vanity Collection ..
View Cottage Vanity Collection ..
View Rustic Wood Vanity Collection ..
All vanity styles can be customized to your specifications! You can contact us directly or use the vanity quote request form to get a quote. Prices listed under each category are for 24 inch wide vanities without a top. The pictures show various sizes that can be ordered.